Let me get this out of the way. I believe Adam Klein is going to win Survivor: Millennials Vs. Gen-X — or at least get damn close. Proof of his potential to go much deeper was evident throughout the merge episode as he literally became everybody’s target without getting voted off. Adam is a guy to root for. He’s a fan of the game who is willing to do whatever it takes to win it all. I respect that. His head is in the right place, and it’s somebody like him who deserves to win every season. 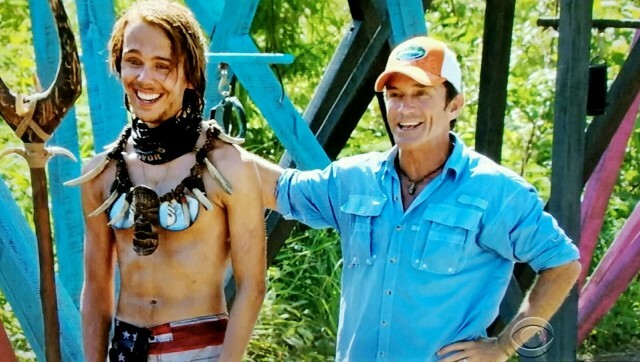 He reminds me of mashup of former castaways Spencer Bledsoe and Rob Cesternino, whom Jeff Probst once labeled as “the smartest player to never win.” I just hope Adam can overcome the “to never win” aspect. His biggest hurdle is obviously himself because his willingness to flip on anybody at any time may backfire. I have faith. From somebody as strategic as Adam, we now found ourselves with Taylor. Once the three tribes became one, the 13 remaining castaways gathered for the traditional merge feast. After filling their faces, Taylor took things one step further. While the rest of his tribe was snoozing the night away, he stole some of their leftovers and hoarded them for himself. Hilariously, the self-proclaimed canning genius didn’t get away with snatching their stash unnoticed. He was caught in the act when the clanking mason jars woke Bret from his Fijian slumber. Although Bret let it slide, Adam, however, saw the moment as an opportunity. As Taylor snuck away from camp with the extra food, Adam climbed out of the shelter and followed. Adam promised he wouldn’t tattle on Taylor for his selfish antics. Instead, he wanted this to be the moment they might be able to solidify a plan to target somebody like Will. Taylor wasn’t even considering that scheme, though, because his distrust for Adam was already thicker than the dirt on David’s T-shirt — especially after his girlfriend, Figgy, was unexpectedly ousted. The saving grace for Adam was Zeke. He overheard Jay and Taylor plotting a blindside against Adam. This is where things got strategically interesting. With Adam’s back against the wall, David made the suggestion of piling their votes against Michelle. Huh? They were certain she didn’t have an Immunity Idol and believed nobody in her alliance would ever see her as the target. He’s very physical and could easily win upcoming challenges. He’s clearly not there to play the game because his brain is in other places. #LoveGoggles, anyone? He’s already lost trust of many on the tribe by selfishly stealing their food and then revealing to the group at Tribal Council it was for a “medical emergency.” When everybody is starving, that’s really not the smartest move, dude. Listening to his “bro” talk is tiresome. His clueless strategies, or lack thereof, could poison the success of more deserving players like Adam. One other thing. 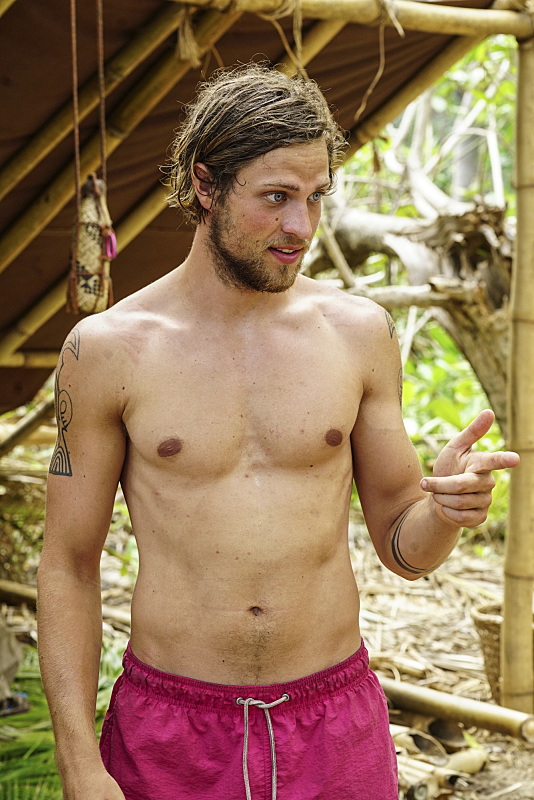 Did any of you notice how the new individual Immunity necklace looks like a coconut bra? Just saying. 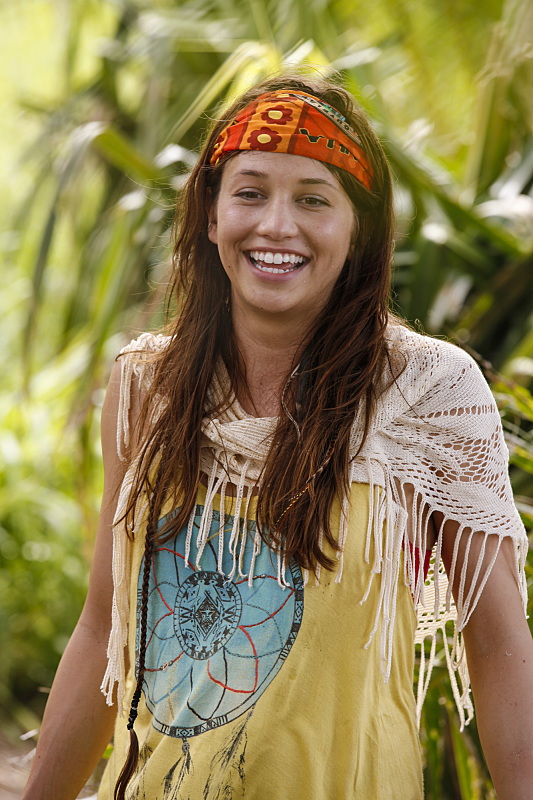 Do you think the tribe should have voted Taylor off instead of Michelle? Join the conversation and leave a comment below now!